OK. Are y'all ready for the easiest tutorial ever??? I actually don't have pics of the making it part, but it really is the easiest Christmas decor idea. 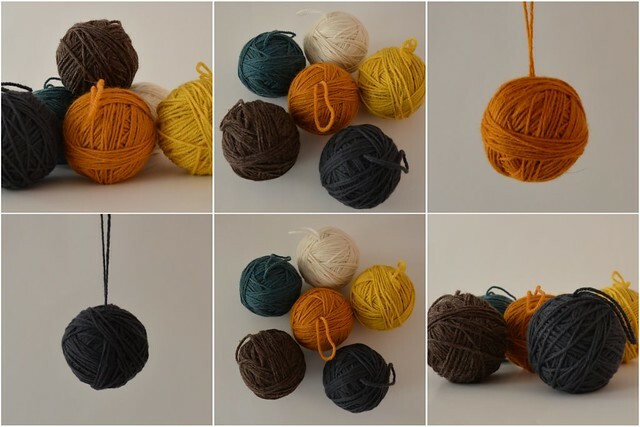 you just get Styrofoam balls from hob lob and then wrap them with whatever yarn colors you want! I made a loop and pinned that into the top at the beginning and then wrapped all around it. I pinned the last strand but I never used any glue or very many pins at all (and i realize that these are not Christmas colors, or really all that appealing of colors, but I got excited and used what I had around. and i love a muted color.) ill be back with more christmasy colors and a thicker yarn option. I also want to try it with the Styrofoam trees. At the shower, Aimee made the ones like you are my fave. LOVED them. Definitely adding them to my christmas decor, too. oh my gosh! I love the yarn ornaments! so easy and cute! btw, i made a yarn christmas tree. ill be blogging about that soon so no worries! oohhh...cutie pie idea! i like!